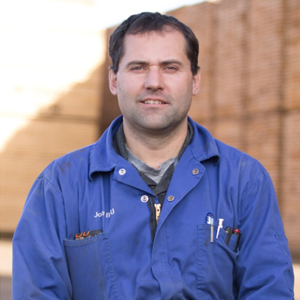 John is involved in day-to-day operations and is very committed to finding and developing new markets and products. 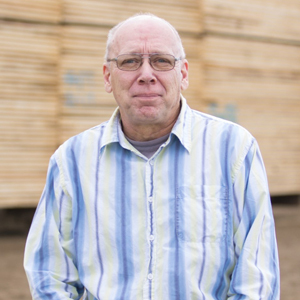 He got his start in the transportation sector then spent a number of years as a lumber and hardware retailer. John enjoys travelling to foreign countries, working on his yard and volunteering his time for various projects within our community. He and his wife, Ruth, have 4 children and are the proud grandparents of 14. 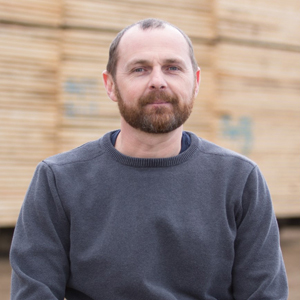 A dedicated employee since 1998, Barney started with our company working in the planer. In 2007 he moved from the yard to the office as our Safety Coordinator, then to Pellet Sales in 2011. 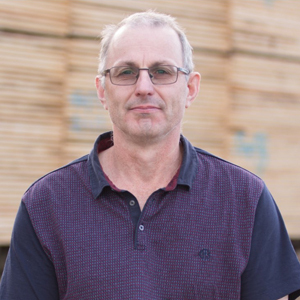 As of March 2015, Barney has taken the position of Sales Manager, ensuring the quality production and delivery of lumber, pellets, and shavings. When he’s not in the office, Barney can often be found fishing, golfing, cycling, or camping with his family. Our Payroll Clerk and Controller since July 1992, Helen is responsible for accounts receivable, accounts payable, payroll, and general accounting as required. When she’s not crunching numbers, Helen enjoys drafting floor plans, walking the local trails, and watching movies with her family. Frank started with our company in September of 1998 as a Fire Watch and has spent time working in every department on the yard over the years. 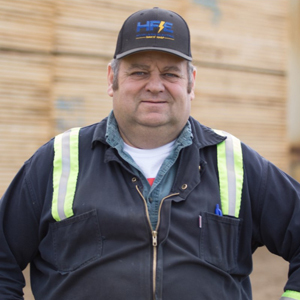 He became our Safety Coordinator and Human Resources Advisor in September of 2011 and is currently responsible for managing our COR Certification through the Alberta Forest Products Association, WHMIS, and WCB programs. Frank is also in charge of reviewing employment applications, interviewing, hiring, and conducting tours of the yard. Frank is well known for his auction attendance; he enjoys camping, snowmobiling, and working hard on the family farm. A part of our staff since November 1997, Aaron is our primary contact in the Woodlands department. 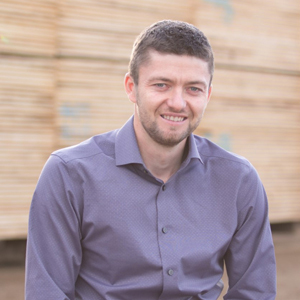 Aaron effectively handles the responsibility of technical work related to forest management including planning and operations and correspondingly ensures that production forecasts are met by logging contractors. He manages both external and internal relations and also confirms personal, company and contractor safety. Aaron spends his spare time relaxing after a busy work week by camping, or working on his mechanic skills in his own yard. 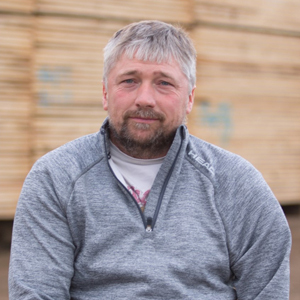 Gerry originally started with us in 1995 as a vital part of our Woodlands team and continues in the same position today. 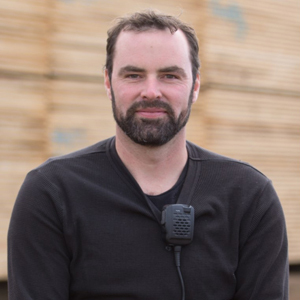 He assists the department manager and is continually involved with the planning, operations, auditing, and administration of our annual log haul. Gerry appreciates the outdoors and enjoys spending his time landscaping, camping, and fishing. 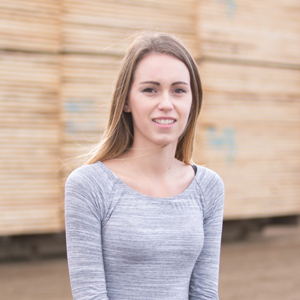 A member of our team since October 2012, Kayla has covered various positions in the office over the years including reception and shipping. 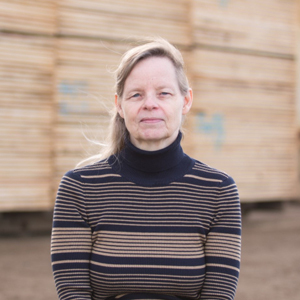 She is currently responsible for administering the employee health benefits, Alberta Apprenticeship within the company, the coordination of staff events and serves as an assistant to the Controller and our shipping department. Kayla enjoys trying new things and her spare time is most often spent fishing, camping, and seeking out warm weather. A part of our staff since August of 2014, Jake coordinates the log haul and is responsible for working alongside owner-operators in assuring the accurate registration of their trucks as well as working with the Woodlands department. During the off-season Jake also serves in our shipping department. When not at work, Jake can be found stock car racing at our local speedway, working on his carpentry, or catching up on the latest hockey news. An employee since December of 1998, Cornie is currently in charge of all engineering and design on the yard as well as supervising both the welding and mechanic shops. He organizes, prioritizes, and implements all construction and maintenance jobs while upholding the company safety policies. Cornie enjoys working on his yard, travelling, as well as studying and researching various topics. A member of our team since September of 2011, Ben serves as the dispatch for our own fleet of trucks. He schedules and assigns drivers to chips, shavings and pellet loads that make their way across the province and into the Northwest Territories. He ensures that all trucks are properly registered, insured, and reach their destination in the safest way possible. When he’s not on the yard, Ben either spends his weekends relaxing with his wife or enjoying valuable time with his family of 11 children and his growing number of grandchildren. He also keeps himself busy by putting his mechanic skills to use on his own equipment and is most often found outdoors. First hired for planer maintenance in May of 1998, John has moved on to become a certified heavy equipment technician and the head mechanic for our mobile equipment shop and recently licensed inspection facility. John leads the crew in the mechanic shop to diagnose equipment issues, provide cost estimates, undergo inspections, prioritize maintenance, keep detailed records, and to keep an adequate supply of parts, oils, and grease. John enjoys working on his hobby farm and spends his spare time camping with his family. 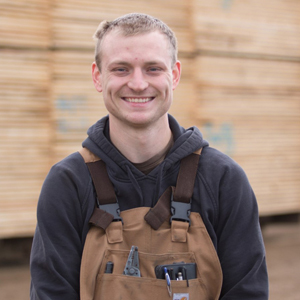 A part of our team since February of 2006 and a licensed electrician since March of 2011, Kurtis serves as our electrical supervisor here at La Crete Sawmills. He is in charge of obtaining all electrical permits, scheduling and prioritizing jobs in correspondence with construction, ordering materials and maintaining his stock of supplies. Off the job, Kurtis enjoys the outdoors, especially hunting and fishing. 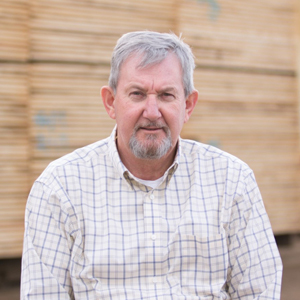 Our planer supervisor since September of 2017, David is accountable for the quality control of our finished lumber products. 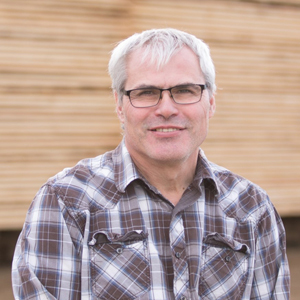 David also confirms that the lumber meets national grading specifications and the requirements of the Alberta Forest Products Association (AFPA). Off the job he enjoys hockey, renovating, and working on his yard with his family. An employee since August of 2016. 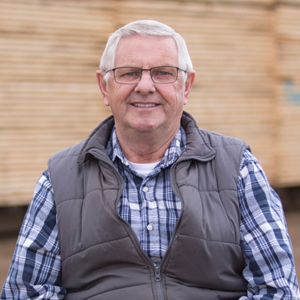 Frank is currently responsible for pellet sales as well as supervising the pellet mill where his main priority is the production of our quality wood pellets. His duties include monitoring incoming and outgoing material for quality and moisture as well as sales and marketing. Off- duty, Frank can be found spending time on his horse ranch, watching his boys play hockey, or camping, fishing, and hunting.